Riswana here with you today. Christmas spirit is in the air and we have a challenge exactly based on that. Find all the details about Challenge #68 Here. 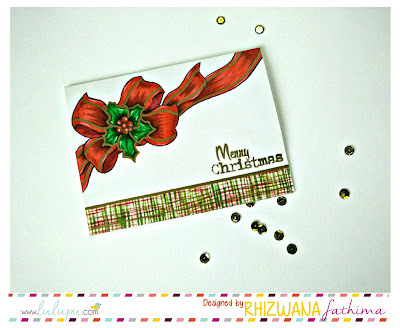 I am sharing a christmas card in classic colors of red, green and gold. I stencilled the base with distress inks (festive berries, mowed lawn) through wood grain stencil used in a plaid fashion. I drew the bow with Brustro fine liner pens and colored with Zig clean color real brush pens. I went straight with the markers and didn't use water to retain the intensity of the colors. Used Uniball Gold alcohol marker to draw in the gold details. Added few highlights with uniball signo white gel pen. 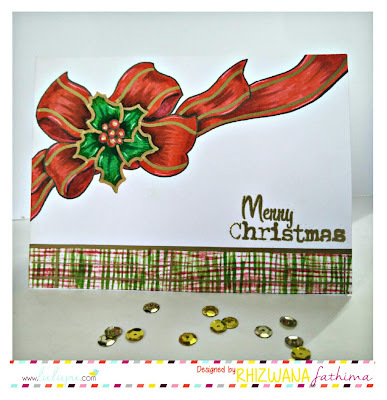 Finally heat embossed the greeting with Ranger superfine Gold embossing powder. Hope you liked it. Don't forget to link your creations on our current challenge Here. 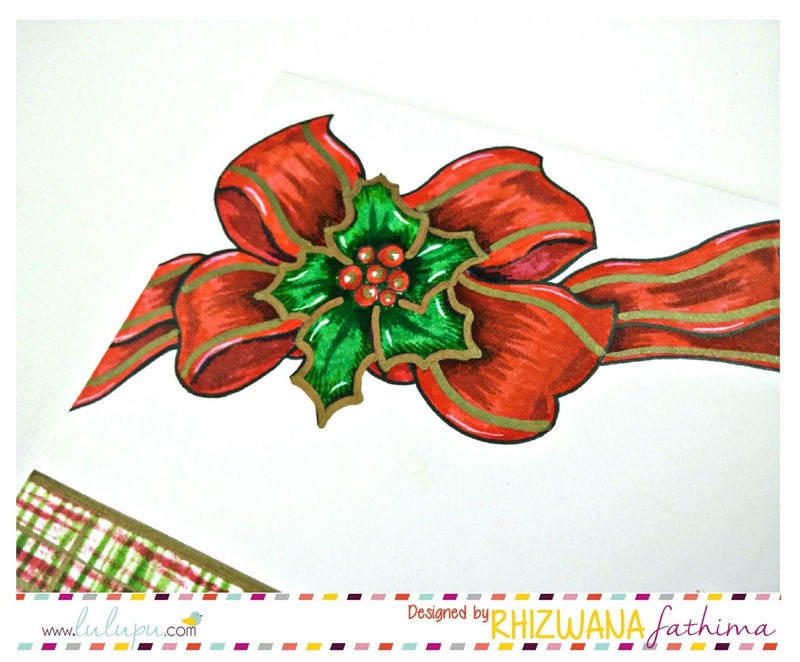 Beautiful card Riswana..Love the way you have colored the bow..